This cosmetic bag has a main zip closure compartment, lipstick, lip gloss, powder, etc. can be found easily. Classic Line (HF): 55% hemp / 45% organic cotton, leather inserts. 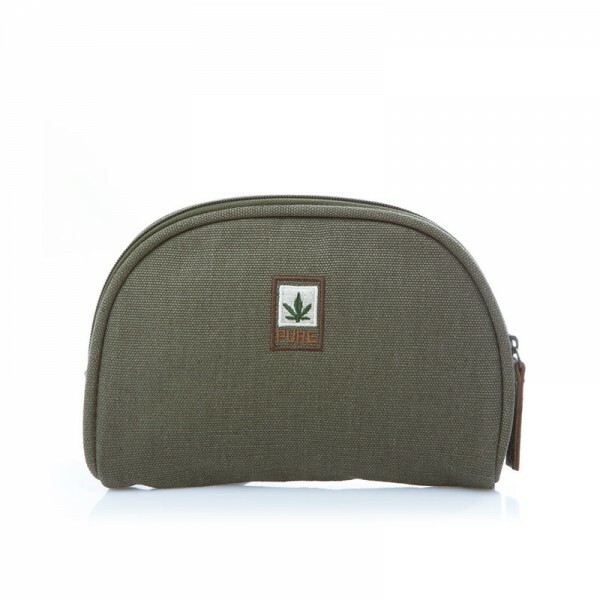 This cosmetic bag has a main zip closure compartment. All cosmetics and small items that woman brings to her daily can be conveniently located inside: lipstick, lip gloss, powder, etc. can be found easily. A slightly larger version is the HF040 Cosmetic Bag. Measures: height 12 cm, width 17 cm, depth 3 cm.